Picture this: your friend drives up in a new ride and says, “We had to buy a new car because the timing belt broke on our old one.” Sounds crazy, right? There’s no way a small belt can ruin an entire car. Unfortunately, it’s possible. The timing belt is a vital part of the engine. If it breaks, it can take the engine down with it. At that point, you’re looking at expensive repairs that may cost more than your car is worth. Manufacturers usually recommend changing the timing belt every 60,000 to 100,000 miles, but check your owner’s manual for specific recommendations for your vehicle. A timing belt is a thin, rubber belt on the side of the engine that coordinates the timing of an engine’s functions so that it runs smoothly. In an internal combustion engine, a part called the camshaft opens and closes the engine’s valves. The timing belt controls when these valves open and close, letting air and gas through at just the right time. Another function of the timing belt is to control the rotation of the crankshaft, a piece in the engine that turns linear energy into rotational energy. The crankshaft is the reason the reason that your tires move your car forward. Both the crankshaft and the camshaft have to synchronize their movements correctly in order to keep the engine working properly. If the timing belt breaks, the synchronization gets thrown off, potentially damaging your engine. Will a Broken Timing Belt Ruin My Engine? Most newer vehicles have what’s called a non-interference engine. In a non-interference engine, the valves and pistons don’t occupy or rotate in the same space. However, some newer cars and most older cars have interference engines. In this type of engine, the valves and pistons do occupy the same space. Therefore, if the timing belt goes, the valves can get bent or the camshaft or cylinders can be damaged. How Do I Know When My Timing Belt Might Break? Unfortunately, there’s no surefire way to tell when a timing belt is about to snap. The best preventative measure is to follow the manufacturer’s recommendation about how often to change it. This may cost a few hundred dollars in maintenance, but the price is much easier to handle than a potential thousand in repairs later. Does My Car Have a Timing Belt? Some car manufacturers have begun to replace the timing belts on newer vehicles with timing chains. The idea is that a chain is more durable and will last as long as the vehicle. 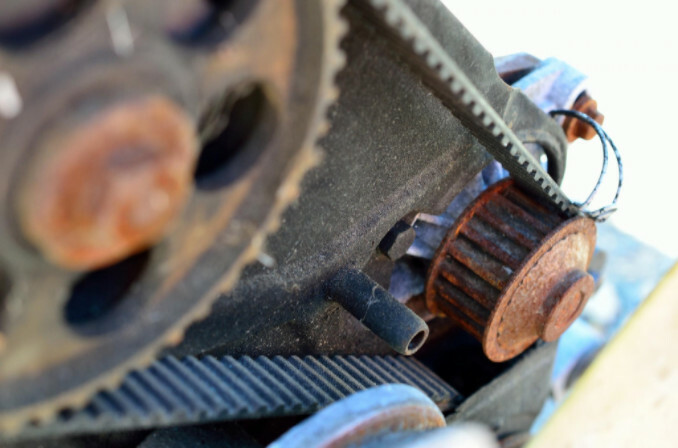 Depending on the make, model and year of your car, you may not have a timing belt. Check your owner’s manual, search online or ask a dealership to see if your vehicle has a belt or a chain. Keeping up with car maintenance like this can save you from costly repairs later, so take your car to a certified mechanic when it’s due. At Bryant Motors, we have a highly skilled team of ASE-certified technicians that will help you determine when your car needs scheduled maintenance and when repairs are necessary. Stop by or call our Sedalia auto repair center today.